The sound of Mumbai’s local train, the enormous rush, all the questions that arise with that & the psychological uneasiness! All of that can be described after watching the teaser of the much awaited Marathi film ‘Dombivli Return’! 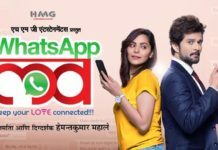 Starring Sandeep Kulkarni, Rajeshwari Sachdeva, Hrishikesh Joshi, Rishika Shinde, Siya Patil & Amol Parashar in the lead roles, this film not really a direct sequel to ‘Dombivli Fast’ but shares the spirit with that film. The film is produced by Sandeep Kulkarni, Mahendra Atole, Gurmeet Singh, Kapil Zaveri under the banner ‘Carombola Creations’! The film is written & directed by Mahendra Teredesai. The music & sound design of the film is done by national award winners Shailendra Barve & Anmol Bhave respectively. Sandeep Kulkarni plays the character of Anant Velankar in this film, a common man whose life changes completely after an incident! The teaser of the film presents the film like a thriller set in today’s fast-paced Mumbai! The local trains are known as the lifeline of Mumbai but the teaser uses it in a way dark & thrilling way! ‘Dombivli Return’ arrives in theatres on 22nd February so don’t forget to board it! 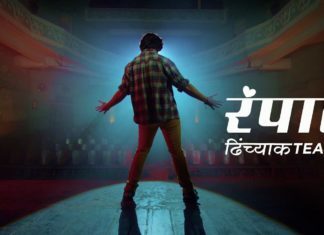 Rampaat Teaser: A Full On Ravi Jadhav Entertainer! Sur Sapata Trailer: A Multi Starrer Sports Epic!